This is the second in the fine art photography series Interiors. 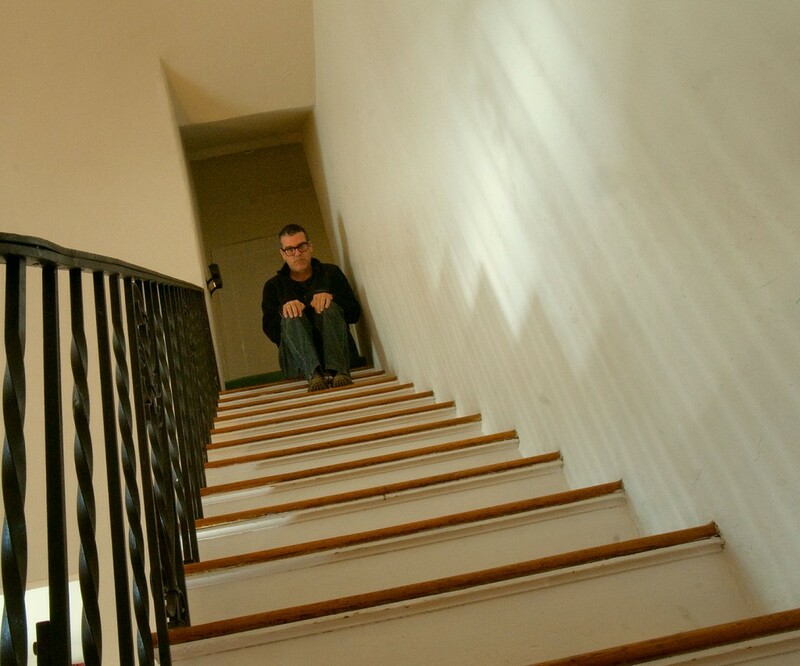 Self Portrait on Stairs. Most of this series will feature either odd or uncomfortable expressions or positions that reflect the range of swirling emotions for me, surrounding the sale of our family home.